Dean Nader Tehrani and Associate Professor Adjunct Pablo Lorenzo-Eiroa will join Patrik Schumacher in conversation about his work. Patrik Schumacher is principal of Zaha Hadid Architects. He joined Zaha Hadid in 1988, has been a co-author on most projects and was seminal in developing Zaha Hadid Architects to become a 400 strong global architecture and design brand. In 1996 he founded the Design Research Laboratory at the Architectural Association where he continues to teach. 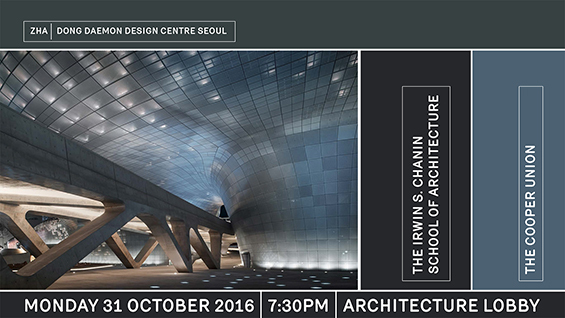 He is lecturing worldwide and recently held the John Portman Chair in Architecture at Harvard's GSD. Over the last 20 years he has contributed over 100 articles to architectural journals and anthologies. In 2008 he coined the phrase Parametricism and has since published a series of manifestos promoting Parameticism as the new epochal style for the 21st century. In 2010/2012 he published his two-volume theoretical magnum opus "The Autopoesis of Architecture". He recently guest-edited the magazine AD- Parametricism 2.0 - setting architecture's agenda for the 21st century with a new emphasis on the social relevance of parametricism. This event is open to students, faculty and staff of The Cooper Union.